Businesses engage in a wide variety of financial transactions throughout the course of their activities. These companies use their cash for different purposes, including purchasing stock in other companies or purchasing assets to use in the business. 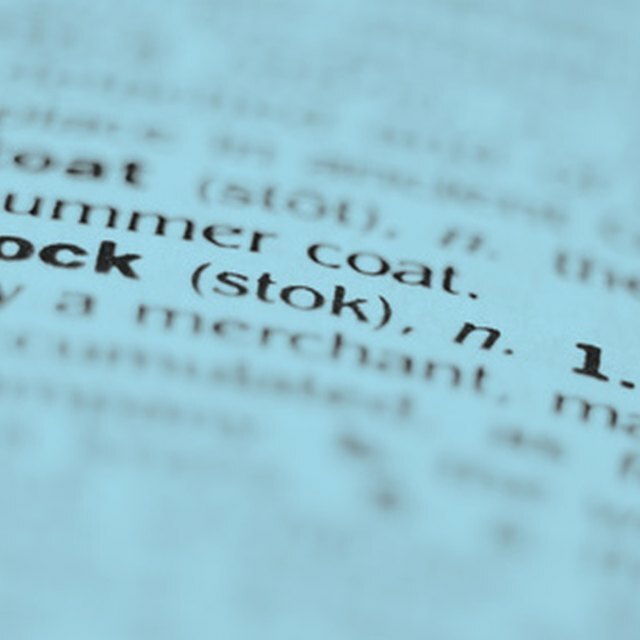 When a company purchases stock, it evaluates various companies to find the right stock. It also evaluates the potential risk of each investment and the financial outlay required. When a company purchases an asset, it evaluates the equipment’s ability to meet the company’s needs. Several differences exist in the accounting for stock purchases and asset purchases. Stock purchases and asset purchases both represent investments for the company. The company accountant analyzes the costs and benefits of each investment before the company confirms the purchase. A stock purchase represents a financial investment. The accountant determines the total cost to purchase the stock along with the potential return the company expects to receive. Asset purchases represent a business investment. The accountant evaluates the expected use of the asset, including the financial benefits of owning the equipment along with the total cost of acquiring the asset. It is the company's accountant's duty to determine what financing options make sense for the company with each type of investment. Stock purchases generally require the company to pay cash for these assets. In this case, the company needs to use excess cash or borrow cash from a lender in order to make the purchase. Asset purchases present financing options in addition to cash purchases. The accountant evaluates the cost of financing the asset. The accountant records each purchase through a journal entry. To record the stock purchase, the accountant debits Investment In Company and credits Cash. At the end of each period, the accountant evaluates the value of the investment. If the value declined, the accountant records an entry debiting Impairment of Investment in Company and credits Investment in Company. The accountant records the asset purchase by debiting Asset and crediting Cash or Note Payable. Assets decline in value through the process of depreciation. The accountant records this decline by debiting Depreciation Expense and crediting Accumulated Depreciation. Whether the company purchased stock or an asset, it reports this value on the balance sheet. Both stock investments and assets appear in the asset section. The asset appears in the Fixed Asset section of the balance sheet, while the stock investment appears with Other Noncurrent Assets on the balance sheet.